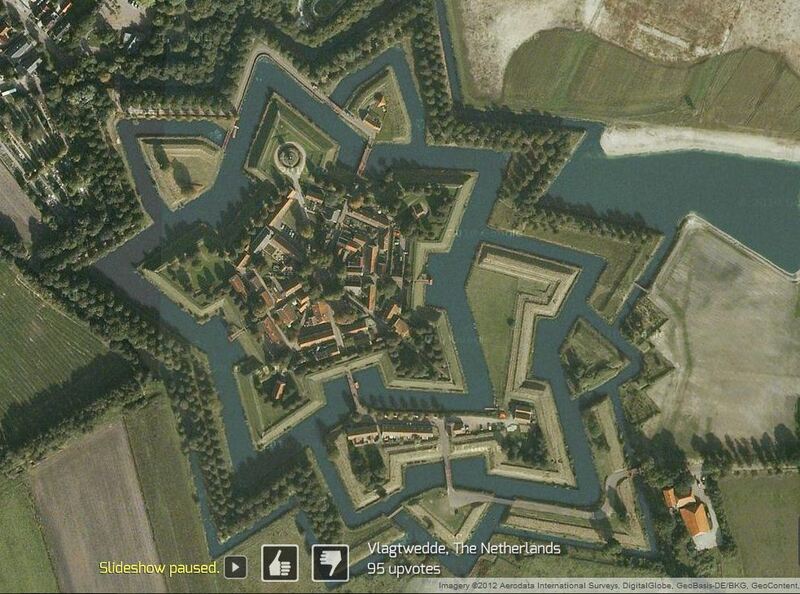 Explore and vote on the best Google Maps satellite imagery around the world. Much like sites that you can rate items up or down, you can rate the best aerial photography via Google Earth screen shots. There are some beautiful images and places to be discovered through this site. The physical and human landscapes are both intermingled in this fantastic collection of images…be careful, it can be amazingly addictive. For more from the producer of this site, see: http://paulrademacher.com or follow on twitter @paulrademacher. Some of my personal additions to this gallery include the Paseo de la Reforma sector of Mexico City, Hamburg, Germany, Venice, Italy, Cape Cod, MA, Drumlin city of Friedrichshafen-Raderach in Southwest Germany, a meteor create lake, Pingualuit Lake in Northern Quebec, the Angkor Wat complex in Cambodia, the Great Salt Lake, UT, Citadella, Italy, Mexican Hat, Utah, Mesa Verde National Park, Colorado (zoom out for a fire-ravaged image) and the “Twelve Apostles” in Australia. Great photos of landscapes… I will one day to see those beautiful places..